The spark may have been the revelation that the Australians had bugged Indonesian President Susilo Bambang Yudhoyono’s mobile phone and that of his wife for 15 days in 2009. But it’s the bushfire that resulted that’s the real problem. The Prime Minister’s slow response may be explainable in a domestic context, though the latest poll sampling showing a sharp Labor resurgence suggests it’s not. But Abbott knows that it’s poison in Indonesia. That’s the reality. All he had to do was call the President in his office in Jakarta and tell him: “I’m sorry. I apologise. It didn’t happen on my watch but it shouldn’t have happened at all. It won’t happen again.” US President Barack Obama managed to say sorry to German Chancellor Angela Merkel and he had much less at stake. Why couldn’t Abbott? Now, instead of heading off an expensive crisis before it happened, we may never know the final cost to Australia. It goes beyond immediate trade (the threat to the $174 million a year live cattle market) or flag-waving demonstrations such as cutting off military co-operation or even police intelligence sharing. The real problem is it might stymie a private sector business deal in five years or further marginalise us in regional forums. Canberra’s inaction created room for mischief-making by opportunists. It’s worth noting that a Russian parliamentary delegation visited Jakarta last week to discuss the escalating difficulties between Indonesia and Australia over the spy debacle. An Indonesian parliamentary delegation is preparing to visit Moscow to meet Edward Snowden, the renegade US intelligence contractor whose information leaks revealed the Australian spying and to whom Russian President Vladimir Putin has gifted a year’s asylum. There are two points in play. The first is peripheral. Political strategy in international relations isn’t being reinvented. The Russians are simply taking advantage of a newly broken window – the one shattered by Australian clumsiness – to climb in and claw back some of their Soviet-era influence in Indonesia. The second point is far more important. It is that Indonesian public responses to the spy scandal are being driven by domestic politics ahead of national and presidential elections next year. It has become a bandwagon for everyone, as University of Sydney researcher Elisabeth Kramer wrote in the online journal ‘Inside Indonesia’ this week. Yudhoyono is not a candidate next year. The rules prevent him seeking a third term and even if he could run, it’s doubtful he’d win. Perversely, that’s why it was so important to neutralise the spy scandal as quickly as possible. There are two possible winners in the field for the July 9 presidential election: Jakarta mayor Joko Widodo, who is backed by a coalition including the powerful PDI-P; and nationalist (Great Indonesia Movement Party) Prabowo Subianto, a flamboyant businessman, Stetson-wearing rancher and former general. Neither is an Islamist in the conventional sense. But in office each would respond to the dominant Muslim religious and social ethos of the country. Australia will have to work with whoever is elected president. So it’s important to quickly dump embarrassing baggage. The commercial relationship between Australia and Indonesia alone is worth around $11 billion a year. The political relationship is even more valuable. There are also national legislative elections in April. While it’s unlikely Islamist parties will do better in 2014 than they did in 2009, the breach between Australia and Indonesia has created additional space for Islamist as well as nationalist drum-beating. Australia’s focus must be the Indonesian relationship, regardless of who is in power. Jakarta understands that the new Abbott government has different political priorities and brings changed nuances, different personalities and altered rhetoric into the relationship. It is publicly comfortable with this. Or it was until the spy scandal. The enormity of what Australia has done in eavesdropping on the Indonesian leadership is well understood. Many Indonesians are offended both by the bugging and by Abbott’s inadequate, and – as they see it – tardy response. A half-century of investment in hard dollars and harder work has been peremptorily devalued, in political capital at least, if not yet in money. It won’t be wiped out: as Foreign Minister Julie Bishop says, there’s too much at stake on both sides for that to happen. But the damage is great and might easily get worse. Our national intelligence agencies must be fully accountable to the government and subject to political control. From now on, whoever is Australia’s prime minister should be fully briefed. He or she must be able to veto surveillance that political judgment or common sense flags as dangerous. It doesn’t matter what the Indonesian President and his wife say on their private phones if getting caught finding out would put the entire relationship at risk. Abbott finally managed to get a letter to Yudhoyono last weekend. The priority he evidently gave this task was reflected by the length of time his missive sat in the in-tray at the Istana Negara in Jakarta. Bishop said this week she and her Indonesian counterpart were still on speaking terms. Indonesian politicians and bureaucrats are usually very polite and especially adept at making anodyne responses. It’s what happens after the private chats that matters. If it’s basically nothing, all the smiles in the world are worthless. Yudhoyono threw Abbott a lifeline with his midweek statement calling for concrete action to restore trust to the relationship. He has given Australia a chance to retrieve the situation. Abbott can still make this a defining moment in a positive sense. He’ll just have to work more quickly and with greater sensitivity than he has to date. 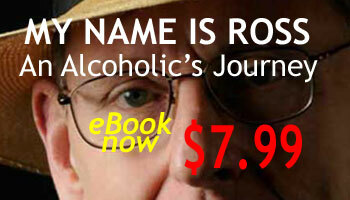 Ross Fitzgerald is the author of 36 books, including his memoir ‘My Name is Ross: An Alcoholic’s Journey’, available as an e-book and a talking book read by the author. The Weekend Australian, November 30 – December 1, 2013, INQUIRER, p 18. ROSS Fitzgerald (“Opportunity knocks and Russians answer”, 30/11-1/12) writes, “It’s what happens after the private chats that matters. If it’s basically nothing, all the smiles in the world are worthless.” For a long time, all the smiles have been a dubious guide to how the smiling people really think – on both sides of this relationship. And to understand what Indonesians are really thinking now, we have to look beyond the explanation that this latest problem is just about domestic politics in Indonesia in an election year, or even about the spying, except superficially. It’s not surprising that something has snapped in Jakarta. Indonesians have been patient until now with Australian assumptions of superiority and the implicitly contemptuous, and sometimes openly aggressive, way they talk about Indonesia, as though Indonesians can’t hear them and have no views of their own, and sometimes as though they’re children. This is not an issue that’s going to be just “solved” or got over, at least not on terms some in Canberra might like to imagine. Indonesians, having endured patronising Australian governments over many years, would appear to have run out of patience, as the casting aside of Javanese obliqueness and ambiguity in recent days suggests. This is a watershed moment for Australia’s relations with the whole region, not just Indonesia. Indonesia is the most powerful and influential country in Southeast Asia – and democratic. When Indonesia decides it’s time to say they’re no longer prepared to put up with the superior and racially-tinged attitudes of Australia, many others in Southeast Asia will be thinking the same. It’s time the government started learning how to communicate with foreign governments, and how to “read” their communication, and by means other than electronic surveillance. In the end, intelligence is no substitute for intelligence.